Through the lens in Norway. 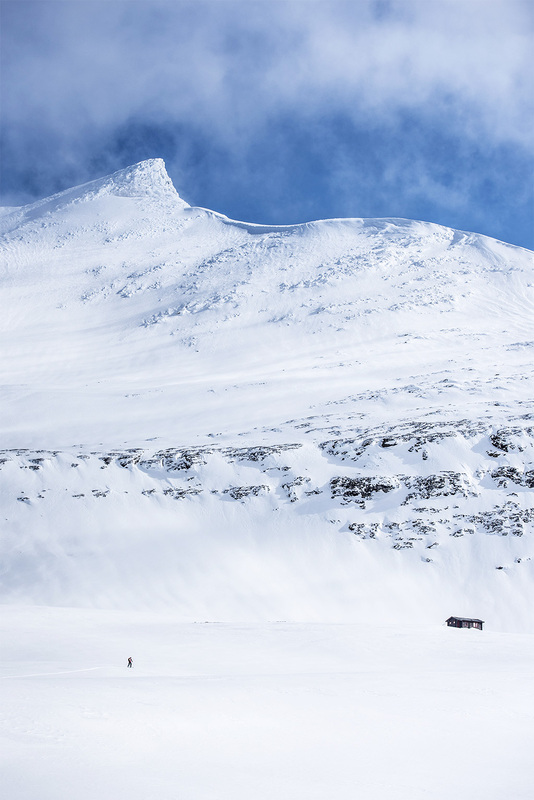 The Tamok valley is a few hours’ drive from Tromsø in northern Norway where there are hundreds of mountains for freeskiers to conquer. Háhttagáisi is one of the more recognisable mountains in the valley. It takes hours to ascend to the top. On this “warm” and sunny day, I wore only a t-shirt (and ski pants, of course) on the ascent, but once I reached the peak the climate changed and on went the down jacket. The descent is amazing despite the variable snow conditions. −Otto Ponto is a photographer and journalist based in Finnish Lapland and the Barents Sea.